Portland Schooner Company is excited to announce that tickets are available to sail in the Tall Ships Parade of Sail itself Saturday afternoon July 18 from 1 to 4 p.m. Sailing on board their two wonderful schooners Bagheera and Wendameen will be a truly rare experience. As the other magnificent ships of Tall Ships Portland sail into the harbor, you will be among them, on board one of the most historic, beautiful schooners in the world. There are 75 tickets and once they go, it may be another 15 years before this event happens again. Head over to portlandschooner.com if you are interested. The 88-foot schooner Wendameen was designed by the famed yacht designer John Alden. 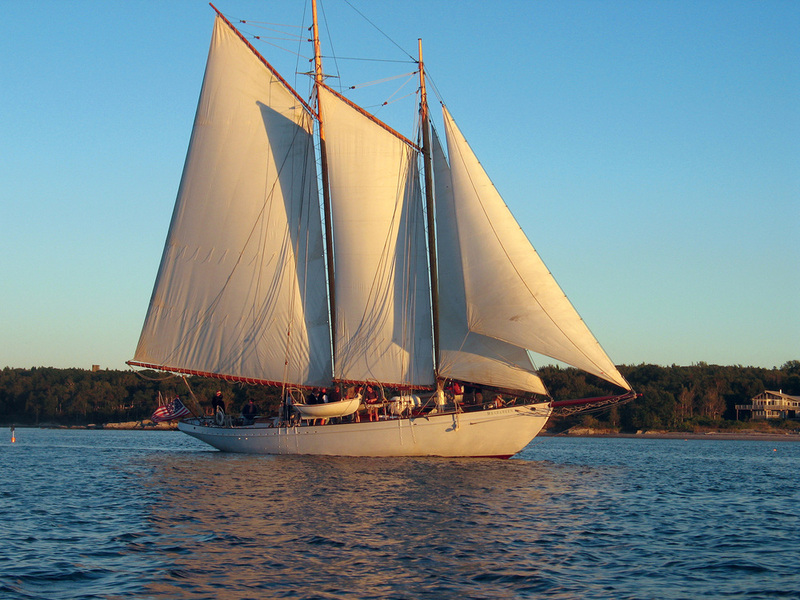 She was built in East Boothbay, Maine, and was launched in 1912, when she took center stage in the golden era of fast, sleek ocean schooners. Inactive since the 1930s, she was thoroughly restored in the late 1980s and is now listed on the National Register of Historic Places. Wendameen is certified by the US Coast Guard to carry 48 passengers on deck and can also accommodate 14 guests for overnight excursions.